When I tell people I’m a financial planner I get one of two reactions. Either their eyes glaze over, or they start asking questions. Too often, I get the sense my new best friend is looking for secrets or shortcuts to building wealth. Sadly, there aren’t any secrets or shortcuts. The road to wealth is actually well marked. Follow it with discipline and consistency and you have a very good chance of achieving your financial dreams. 1. Eliminate unnecessary spending. Go through your expenses in detail. First, stop paying for stuff you don’t use – digital subscriptions, club memberships. Then, take a hard look at everything else and decide what really matters to you and your family. The monthly savings identified in this process should be reallocated to savings. 2. Start saving early. Time and compound interest are powerful forces. 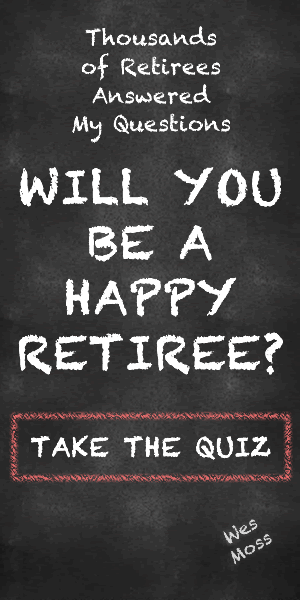 Harness them by opening a retirement savings account on the first day of your career. A 5-10 year delay in starting to save can severely limit the size of your final nest egg. 3. Save 20% . Your paycheck should be divided into three categories: Taxes, Savings, and Living. Savings should get at 20%. Start lower and work your way to 20% if necessary, but get there. 4. Make savings automatic. Pay yourself first by setting up auto-deductions from your paycheck – either to the company’s 401k or your brokerage account. You can’t spend it if you never see it. 6. Save your raise. Don’t let your spending rise along with your income. Use the bulk of any pay increase for savings. 7. Diversify. Make sure your portfolio holds a mix of investments — stocks, bonds, mutual funds, et cetera. This will limit your exposure to a bad outcome in one sector of the market. Be sure your holdings are spread across a variety of industries to further insulate you from turbulence. 8. But take some risks. There’s no way around it. Higher potential returns come with higher risks. In your 20s and 30s you should consider investing in some higher risk stocks to capture that growth. Of course, everyone’s risk tolerance is different. Know yours before investing. 9. Be steadfast. Once you’ve committed to a long-term investment strategy, stick with it. Jumping in and out of the market based on short-term trends is ultimately a losing proposition – and emotionally draining. This is a marathon. 10. Watch those fees. The fees charged by mutual funds and other investment vehicles can vary widely – and can seriously dent your return. If you are looking for professional help, Clark Howard is a big proponent for fee-only financial advisors (which also happens to be what I do for a living). The reason he recommends fee-only financial advisors is because they do not receive commissions for selling this fund or that bond. We are ethically and legally obligated to put your interests first in every transaction we make on your behalf. Another additional layer to consider is working with a Certified Financial Planner (CFP®) which are fee-only financial advisors, but with this designation, you know that they’ve undergone extensive training and rigorous testing, and they’re required to participate in continuing education programs. 11. Get a second job. A weekend job or freelance gig can be a tremendous help in reaching your financial goals. You could cash-in on your passion. Like golf? Work weekends as a starter. Good with numbers? Prepare tax returns in the evening. If your second job is self-employment, you might be able to stash your earnings in a tax-deferred SEP IRA. A second job is also a great way for new retirees to cover their expenses without dipping too deep into their savings. 12. Invest in income property. If you have the resources and interest, think about buying some residential estate. You can either fix-up houses and sell them, or hold them as rental properties. There are, of course, lots of risks and you need to do a ton of homework, but the pay-off can be significant. 14. Don’t go house-wild. Owning too much house can seriously undermine your savings efforts and limit your ability to spend on other things. Remember, you don’t have to spend every mortgage dollar the bank is willing to lend you. Think carefully about what you want and need in a house and limit your search to houses that match those criteria – and your budget. If you own a big empty-nest house, you might want to downsize before you retire.